18-year-old Raimi Merritt resumed her reign over women’s wakeboarding with her sixth world cup title win on Sunday at the International Waterski & Wakeboard Federation (IWWF) Wakeboard World Cup in Mandurah, Australia. 18-year-old Raimi Merritt resumed her reign over women’s wakeboarding with her sixth world cup title win on Sunday at the International Waterski & Wakeboard Federation (IWWF) Wakeboard World Cup in Mandurah, Australia. The tournament drew over 100,000 spectators. Riding conditions were rough in Mandurah through the weekend, but Merritt rode solidly on Saturday through the heats leading up to the finals. For the finals on Sunday, she was strong on the sliders and wowed the crowd with several tricks, including a 360, toe side off axis 540, front flip, scarecrow, and her signature S-Bend. Merritt earned 67.35 points to capture her sixth World Cup title. Wing finished in second place with 60.03 points. Another Australian, Bec Gange, finished in third with 58.35 points. “It really felt great to get back on the water, and I am looking forward to a strong 2012 season,” said Merritt. This weekend, Merritt will compete at the IWWF Pan Am Championships and Board Up Pro Tournament in Ft. Lauderdale, Florida. 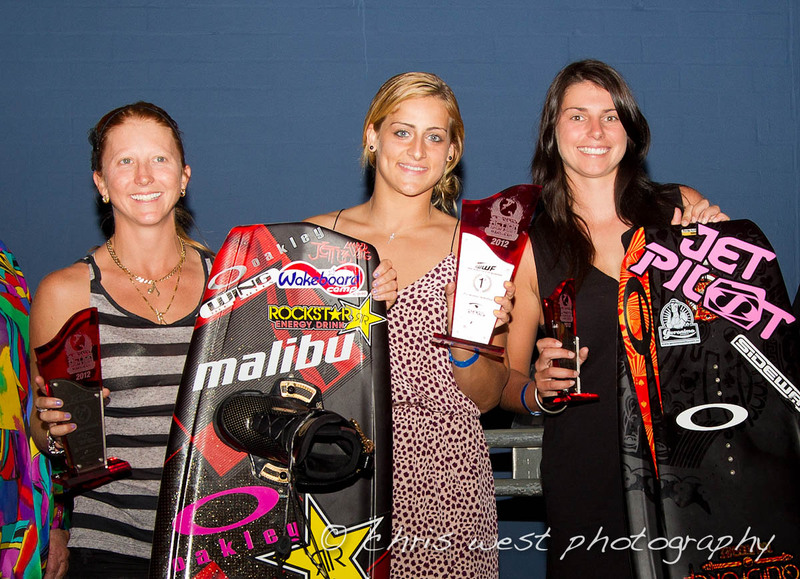 Afterwards, she’ll compete in the first stop of the 2012 Queen of Wake Pro Tour in Orlando, Florida, April 12-14. Merritt was named IWWF’s Female Pro Rider of the Year in 2011, and in addition to being a six-time World Cup Champion, she is also the current World Champion. Merritt has spent the off season promoting women’s wakeboarding by making red carpet appearances at the Super Bowl and NBA All Star Events. Merritt grew up in Lantana, Florida and began competing when she was 11. She lives and trains in Orlando. She is sponsored by Nautique Boats, Hyperlite, and MonaVie. For more information about Merritt, visit: http://www.raimimerritt.com. Fans can also follow Merritt on Facebook or Twitter.